Competitive appetites are being fed at the Terraces with a new chair volleyball series. 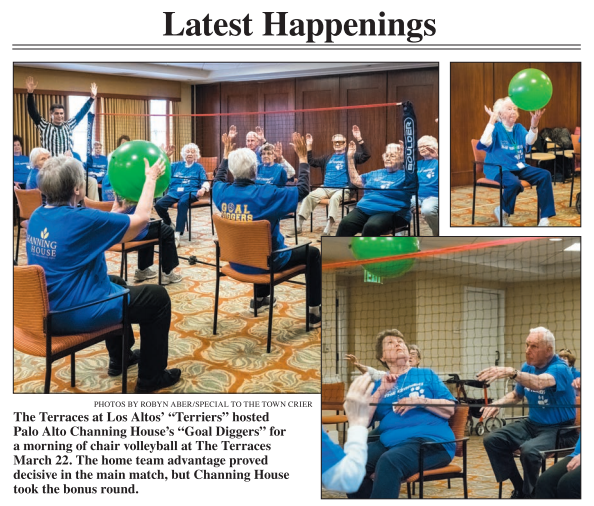 The matches between residents at the Los Altos-based senior living community and similar communities nearby deliver smiles, sweat and, of course, bragging rights. The idea took shape when Fitness Coordinator J.C. Guzman was on the hunt for a new activity to add to the community’s ever-active and fun roster of classes and programs. Guzman wanted a new class that would be all-around inclusive and challenging to our residents’ hand-eye coordination. “We really wanted a program that was open to all residents and that delivered a meaningful experience,” he says. 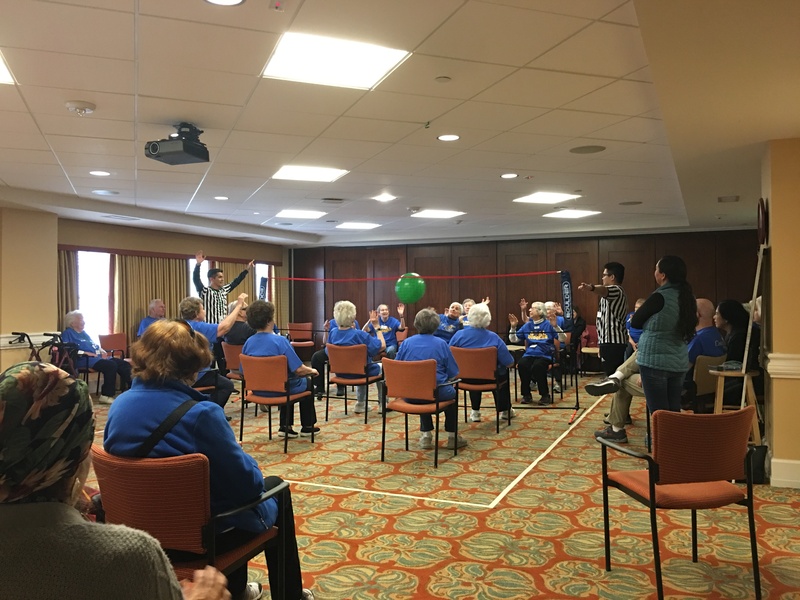 Chair volleyball kicked off in 2017, and it quickly grew in popularity, with residents even asking for something more competitive. Guzman increased training times, added scrimmages and worked his contacts at neighboring communities to gauge interest. Now, residents participate in hour-long training sessions every Friday, scrimmages on Saturdays and inter-community matches every quarter. To ensure games are structured properly, the Terraces follows the California Senior Games Chair Volleyball rules. A court is taped on the floor with six players seated on either side of a five-foot net. Each game is played to 15 points, with players rotating seats when a serve is won. A lighter, safer ball with a longer flight is used rather than a traditional volleyball. Guzman says the team at the Terraces, which currently has about 16 residents, is open to all levels of living and abilities. There’s a mix of former athletes, he says, looking to reignite those competitive fires, those exploring something new, and others who just want to socialize and have a few laughs. Click below to check out the fun had by all in the Los Altos Town Crier.